Powerhouse actor Ranveer Singh becoming the life of the party. 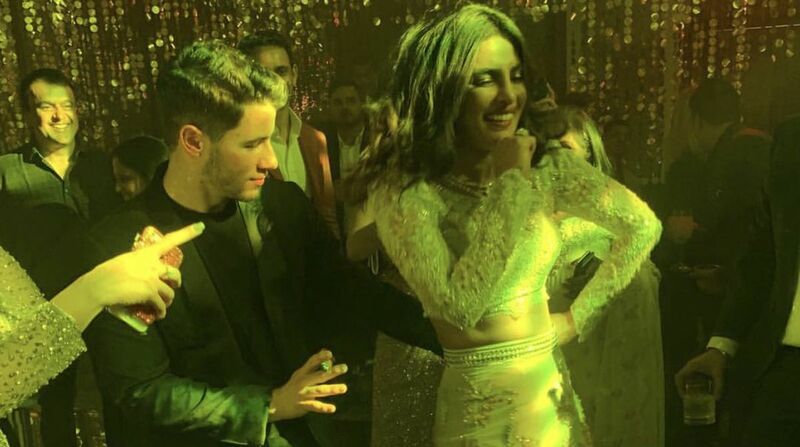 The newly wedded couple Priyanka Chopra and Nick Jonas’ star-studded wedding reception could not get any better as it was all about love, fun, and dance. 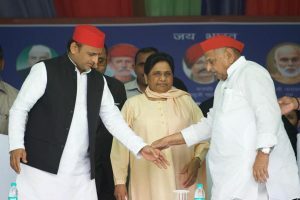 On Thursday night, tinsel town celebrities Salman Khan, Ranveer Singh, Deepika Padukone, Shahid Kapoor, Parineeti Chopra among others, came in to congratulate the newlyweds. The celebs set the stage on fire with their amazing dance performances, with ‘powerhouse’ actor Ranveer Singh becoming the life of the party. The major highlight of the reception was Priyanka Chopra and Deepika Padukone’s dance on Bajirao Mastani song “Pingaa”. It did not end just there as Ranveer Singh too joined the fun by imitating his wife. Livewire Ranveer Singh also rapped which left everyone rolling on the floor laughing. Urmila Matondkar shook a leg with Ranveer on her song Rangeela Re. #deepikapadukone and #priyankachopra having #pinga time while #parineetichopra and #ranveersingh steal the show by attempting the song! Amongst everything, dance on the beats of the song ‘Desi Girl’ by Priyanka, Deepika, Ranveer, and, Nick was just so adorable to watch where one can’t miss watching Nick trying to do the ‘Desi Girl’ signature step leaving Priyanka in awe of her husband. Nick Jonas dancing to Desi Girl ahh I’ve seen everything in my life now!! For the reception, Priyanka Chopra wore Abu Jani Sandeep Khosla’s light blue lehenga with heavy embroidery detailing. And to complete her look she teamed it up with matching chains and styled her hair in beachy waves. Nick opted for a black T-Shirt and royal blue blazer suit and he looked dapper. Priyanka Chopra and Nick Jonas tied the knot on December 1 and 2 at Jodhpur’s Umaid Bhawan Palace as per both Christian and Hindu traditions.